Rochester Institute of Technology values the contributions of its employees and strives to ensure that all are appropriately compensated. To ensure salaries and wages are internally equitable and externally competitive, Human Resources participates in salary and wage surveys to understand trends within the education industry as well as the Rochester area. Data are collected and analyzed on an ongoing basis to support the development and adjustment of salary and rate ranges. Senior executives are responsible for reviewing the university’s competing needs for funding and determining an overall amount of spending for annual merit increases. Human Resources develops guidelines for supervisors to use in the administration of individual salary and pay rate adjustments. Pay is one component of what makes up an employee’s total compensation. 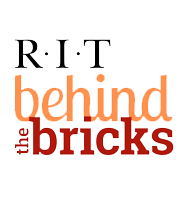 The other component is the comprehensive benefits package that RIT offers; RIT understands the tremendous impact benefits play in providing family security and overall employee satisfaction. The employee benefits, combined with pay, provide a total compensation package that individuals can customize based on personal needs and preferences. Please refer to our benefits and work life resources pages for more information on all that RIT has to offer.